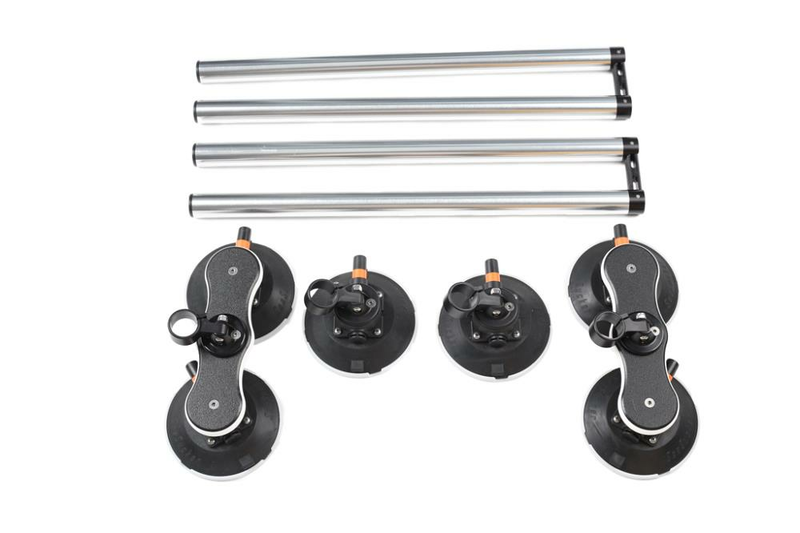 SeaSucker Monkey Bars Suction Cups Roof Mount Rack SX6000 - Free Shipping at California Car Cover Co. 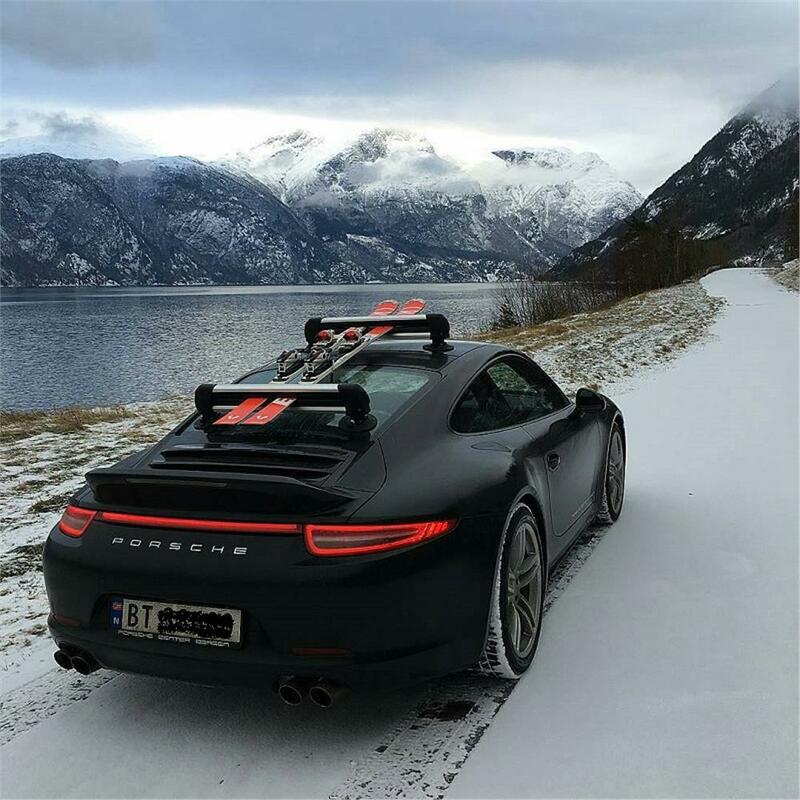 The SeaSucker vacuum suction cup roof rack system designed for extreme versatility and portability. 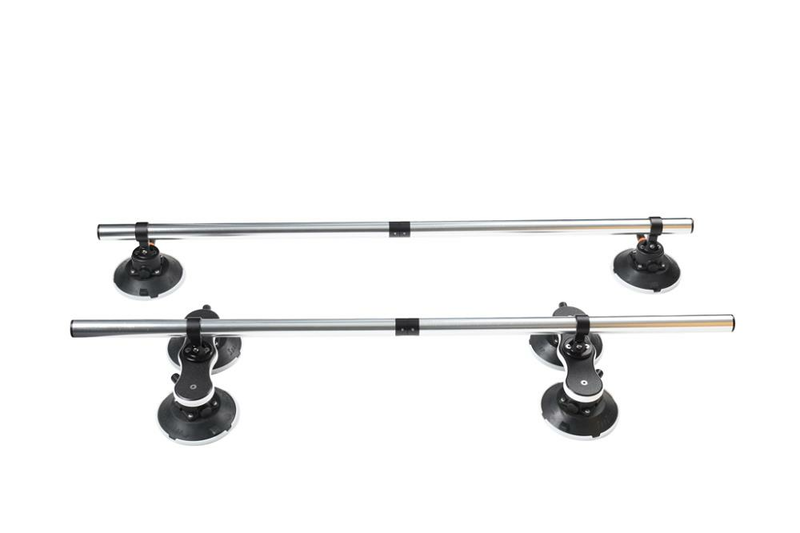 The Monkey Bars are 48" round aluminum cross bars that allow for a multitude of attachments, such as kayaks, skis, snow boards, surf boards, bikes and cargo. Powered by 6" SeaSucker vacuum cups (4 up front and 2 in the rear), the Monkey Bars fit on just about any car roof. Have a wide or narrow roof? No worries, the vacuum cups can be moved to any position on the bar to ensure a perfect fit for any vehicle.